A pilot for TWA gets involved in the Iran Contra scandal. He also decides to smuggle drugs for a Columbian drug cartel. What could go wrong? 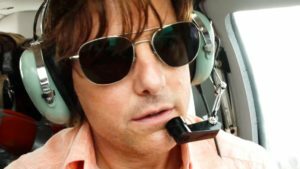 Tom Cruise does a good job portraying TWA pilot Barry Seal. The aviation scenes are authentic. Cruise is a pilot. So, that helped. The only problem is that Barry wasn’t the most likable fellow. Not only did he make some poor moral decisions, but he also didn’t seem to care who got hurt in the process. Things don’t end well for Barry. I’ll leave it at that.